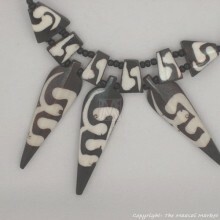 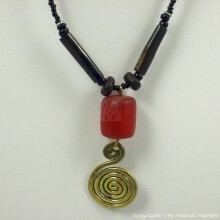 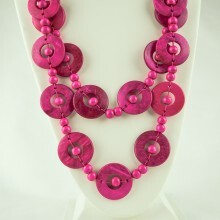 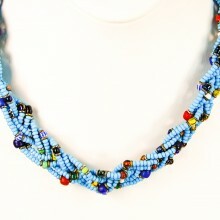 This handmade necklaces is from Kenya. 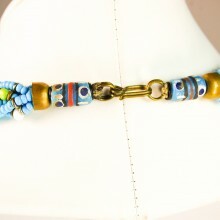 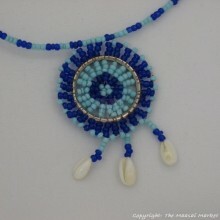 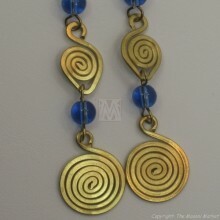 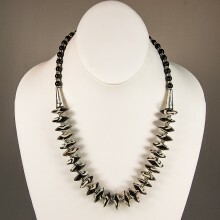 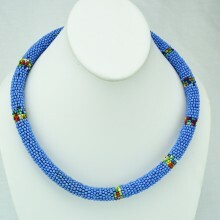 This one is blue in color but we do have the same necklace that is red. 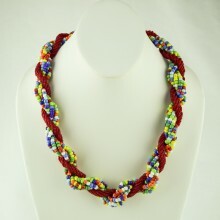 Each necklace has six strands braided in twos. 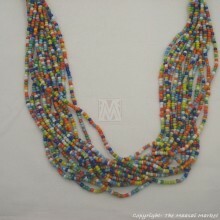 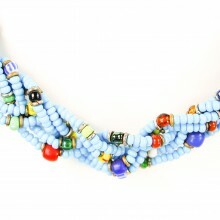 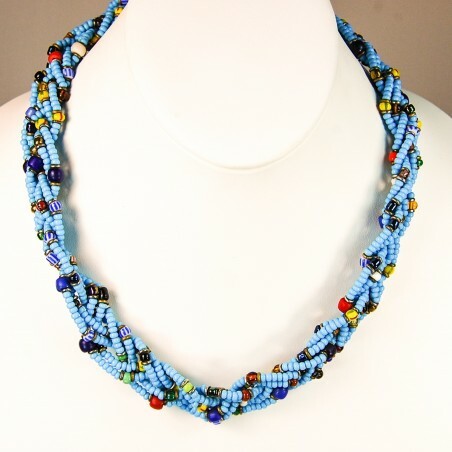 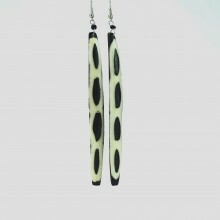 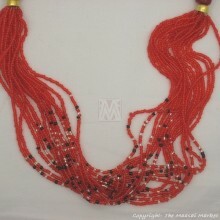 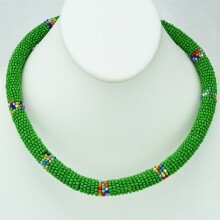 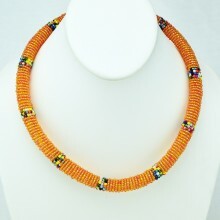 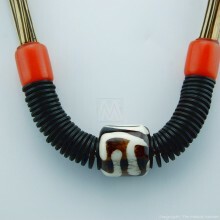 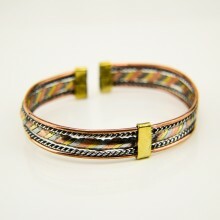 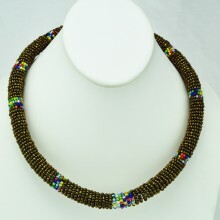 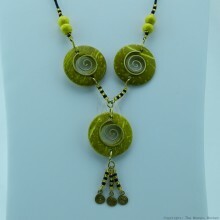 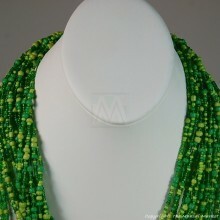 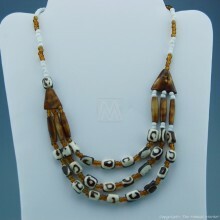 At the end of the strands they have krobo powder glass tread beads. 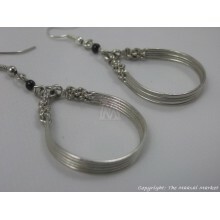 They close with a hook and loop. 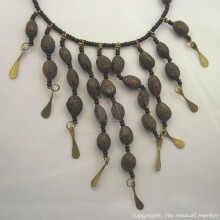 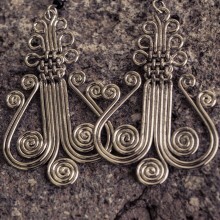 Since they are handmade, no two necklaces look exactly alike.